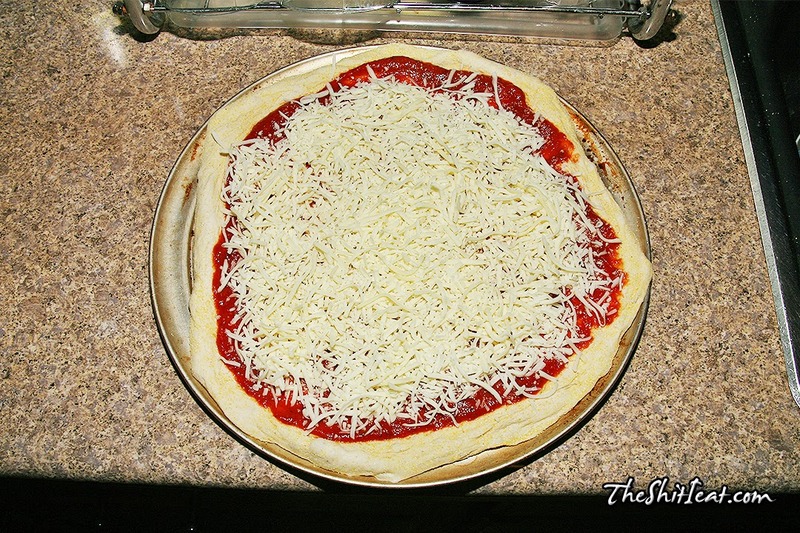 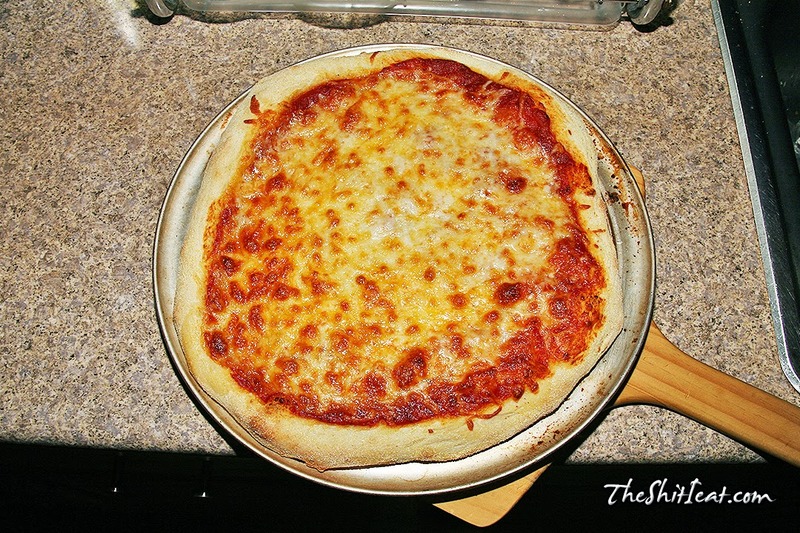 Made this pizza five days ago: I did not had anything to top it off other than some cheap cold cuts, so I decided to go for plain cheese kind of pizza. 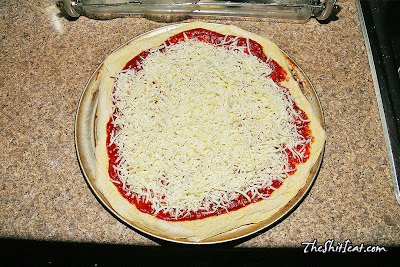 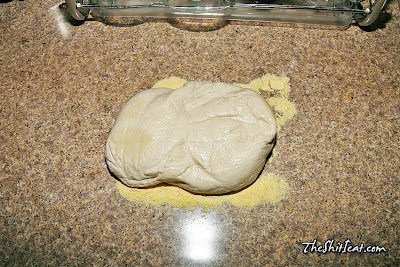 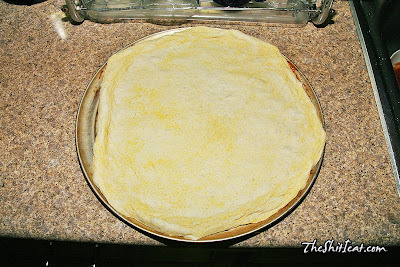 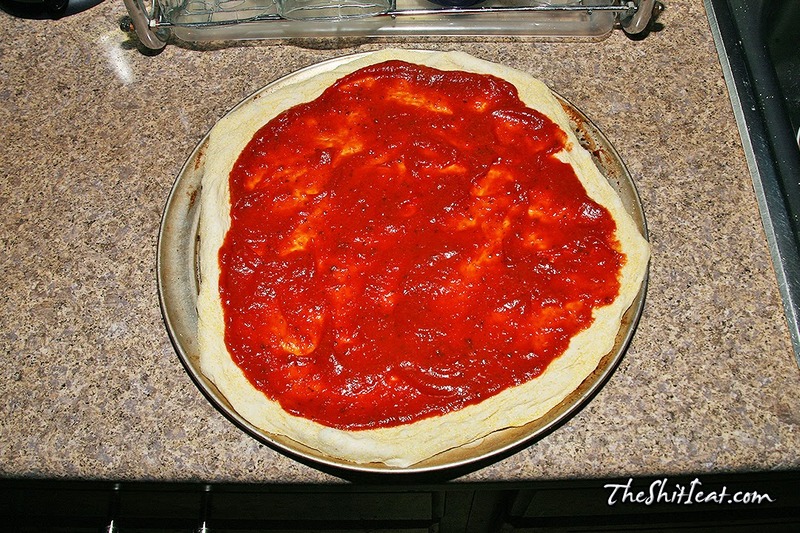 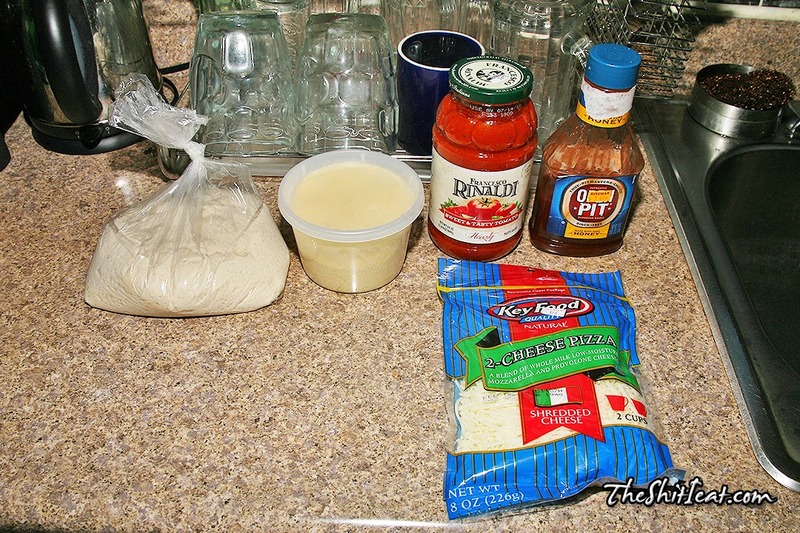 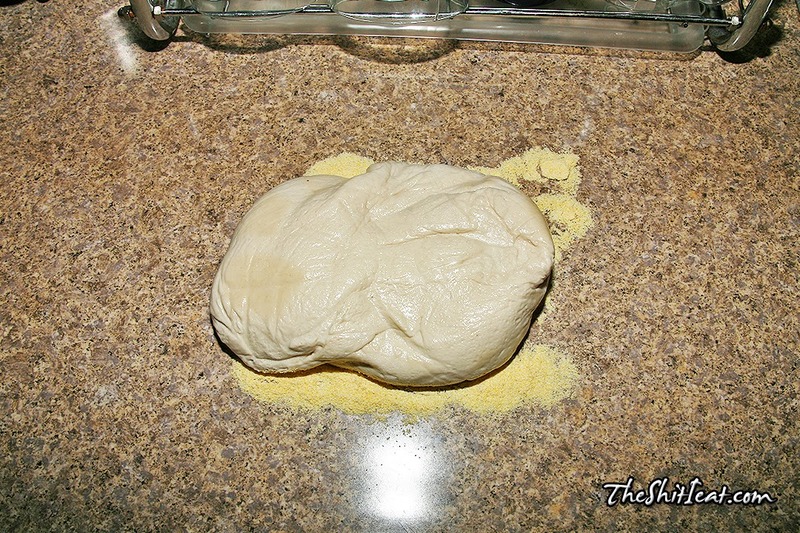 I got the dough at the Italian bakery for $1.50, and its a good dough that I have used on my last pizza [Chinese Food Pizza] about 2-3 weeks ago and decided to use it again. 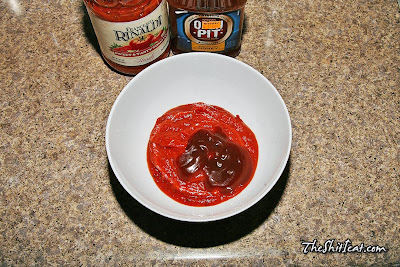 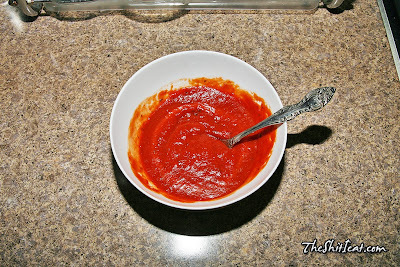 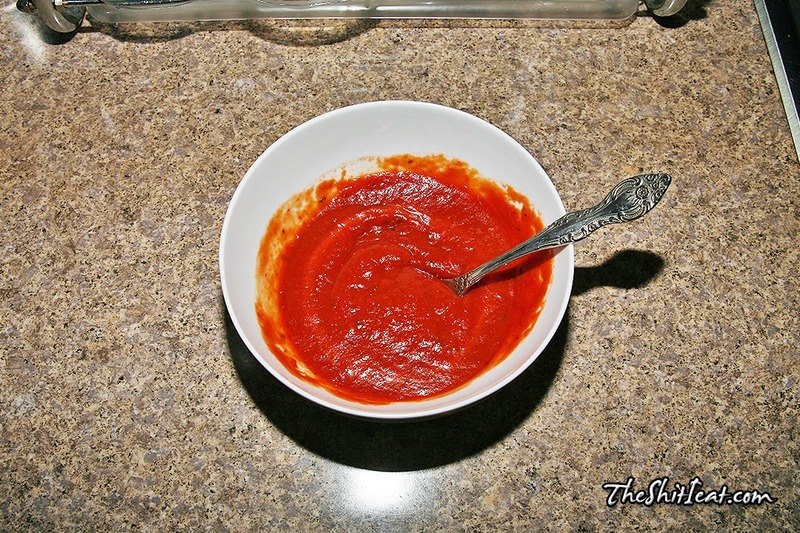 I amped-up the sauce a bit with some honey BBQ sauce and used average shredded cheese. 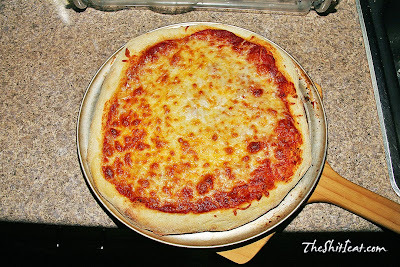 The pizza came out really good/tasty and I ate it all within 1 hour.